Rhinoplasty surgery or nose job or nasal reshaping surgery or Nose Correction Surgery is the reconstructive plastic surgery done for nasal refinement or nose reshaping. Many nasal problems caused due to trauma, diseases or genetics can be corrected by Rhinoplasty. Rhinoplasty can make the nose more aesthetically correct and harmonious with other facial features. Rhinoplasty is cosmetic or reconstructive surgery of the nose. It is also known as nasal refinement and is often called a nose job. A rhinoplasty can correct many problems of the nose stemming from genetics, trauma, or disease and can fix many aesthetic problems as well. A nasal hump may be removed to give a more pleasing, symmetrical look. The cartilages of the nose can be molded and trimmed to create a more compact or pleasing shape. Rhinoplasty can refine the nose and bring balance and harmony to the face. Rhinoplasty, can be combined with nose straightening (straightening the nasal septum, post a broken nose due to trauma or a bone abnormality from birth) and is called septorhinoplasty. Rhinoplasty is one of the most popular cosmetic procedures and can change one’s personality and can greatly boost up one’s confidence and performance. However, it should be avoided before the nose or face has developed fully and completely (around the age of 13 to 15 years). The rhinoplasty procedure is most commonly performed to carry out dorsal hump removal from the nose, to bring about crooked nose treatment or to undertake complex nose reconstruction in the case of severe facial trauma. Dorsal hump removal – If you perceive that you have an extended dorsal hump, or a bump on the bridge of your nose that you would like to correct, dorsal hump removal is the right procedure for you. The dorsal hump removal may necessitate removal of extra cartilage or extra bone from your nasal bridge. Dorsal hump removal is a specialised procedure which should be carried out by a skilled surgeon. Crooked nose treatment – Crooked nose treatment may often be essential, and not only elective since a crooked nose can also cause breathing problems. Crooked nose treatment requires the surgeon to elucidate the cause of the crookedness, and systematically correct the nasal structures involved in causing the lack of shape or symmetry. Complex nose reconstruction – Complex nose reconstruction involves replacement of nasal tissues such as skin or cartilage with other substitute tissues such as grafts or skin flaps. Complex nose reconstruction is a challenging procedure for cosmetic surgeons and must be carried out only by a skilled plastic surgeon. Cosmetic Rhinoplasty can be performed in India at reasonable costs, approximately 1/10th that of the costs (prices) of rhinoplasty in the Western World (USA, UKSingapore, etc). The type of the Rhinoplasty has to do with the type of the nose. Different parts of the nose demand different treatment. Tip Rhinoplasty– This intervention leaves the total of the nose intact and changes only the cartilage that is seated in the tip of the nose. Bridge Rhinoplasty– This procedure alters the size and shape of the central bone of the nose (removes the dorsal nasal hump) that is called the bridge. It has a very visible effect and is used to help people with breathing as well as cosmetic problems. Hump Rhinoplasty– This is the rhinoplasty procedure utilised to carry out dorsal hump removal. It changes the bony-cartilaginous part of the nose that is extended between the tip and the forehead breaking it and reshapes it to the patient’s desires. Cartilage/Nostrils Rhinoplasty– Complex nose reconstruction may need more reshaping than a simple reshaping of the bride or the tip of the nose. In cases of major nose jobs the cartilage/nostrils may also need alteration so as to fit the new nose. Angle Rhinoplasty– This is the type of rhinoplasty technique that is employed in crooked nose treatment. In case your nose is not symmetrical a number of techniques may be used so as to straighten it up without changing anything else. Pre-operative analysis of Photographs of the patient helps the surgeon to know patient facial anatomy and to device a surgical plan. Stop smoking: Smoking can slow the process to healing, so it is advisable to stop smoking before Rhinoplasty. Certain Medication: Certain medication should be put on hold like aspirin and ibuprofen. These can potentially increase bleeding. Anaesthesia: Anaesthesia can be local or general for Rhinoplasty. Operative Timing: It may take from 20 minutes to one and a half hour. Procedure: Repair of the nose post trauma may require inserting slender instruments into each nostril to push back the bones to proper places in alignment. A small cut (incision) may be taken to see that the bones are arranged properly. Closed Technique: In this procedure the incision is taken inside the mucosal lining of the nostrils and the nasal bones are accessed. Stiches: Dissolving stitches are taken to close the incisions. Complications of medical management– High sensitivity to surgery related drugs and post surgery medications. Complications of surgical care– Damage to the skin, scars at bottom of the nose, prolonged time of recovery, post surgical pain, difficulties in breathing. Sometimes a second revision or secondary Rhinoplasty is needed to fix the deformities. The prognosis post rhinoplasty surgery is excellent if the procedure is done by a skilled surgeon. Some swelling, pain and headache are common after the procedure. Full recovery takes time as healing is a slow process. Age and health condition of the patient affect the recovery period. Should you get nose surgery in Mumbai? Here are reasons why you should. Your nose may not be perfect, but the comforting fact is that most people are in the same boat as you. That is right. Even the top Bollywood and Hollywood actors may look gorgeous, but very few of them have perfect noses. The thing about noses is that they can make or break a face because they are very noticeable, considering they are right there on your face! Apart from the eyes, the nose is the first thing people notice about you and as such, if you feel you need to have a nose of a particular size or shape, then getting Rhinoplasty surgery in Mumbai India done by a top cosmetic surgeon like Dr. Debraj Shome at The Esthetic Clinics, can be a great idea. If you are wondering whether or not nose surgery in Mumbai by a cosmetic surgeon can be the right option for you, then here are reasons why surgery may just be. More and more people are choosing a Rhinoplasty surgeon in India because they don’t find their noses attractive. Previously it was a surgery phenomenon that was common in the western world but today, getting Rhinoplasty surgery in Mumbai India by a cosmetic surgeon is not a big deal anymore. Make sure that you know that the right surgery is something that is going to complement your face and not deviate from it. Also, did you know that having a nose surgery in Mumbai India done by a surgeon can actually raise a person’s self-esteem and self-confidence? That’s right. So if you are feeling down and have found the right Rhinoplasty surgeon in India, then go ahead and get it done. Whether it is your exercise routine or a trekking incident that made you suffer from an accident which ruined the shape of your nose, getting a rhinoplasty surgery done in Mumbai can be a great reason. People with broken noses do not have to go through life with them. They can get it repaired with surgery in India that will make them look closer to what they looked before the accident happened. If you have been in an accident that has changed the shape of your nose, don’t wait till it takes away your self confidence and instead get nose surgery in India done. 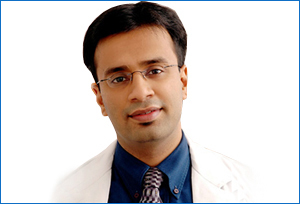 You may be looking for Rhinoplasty surgeon in India for medical reasons. The rhinoplasty surgeon in Mumbai you choose should know exactly why you need to get the surgery done. For example, you may suffer from a deviated septum which means that you have trouble breathing through the nose. Choosing Rhinoplasty surgery in India really makes sense because then you will not only be able to breathe properly, you will also not snore if you did that before. A deviated septum that may make you go for nose surgery in Mumbai can be something you have been born with or it may have developed due to a trauma or accident. Whatever it is, you can very well get better sleep at night after the right rhinoplasty surgery in Mumbai. A Rhinoplasty surgeon is the one who performs nose surgery. The best Rhinoplasty surgeon will able to give you a clear picture of what your nose will look after rhinoplasty surgery in India and the various functional and aesthetic improvements you can expect after the nose surgery. Various techniques such as use of computer graphics can be used to show the anticipated results of rhinoplasty surgery in India. The best rhinoplasty surgeon will listen to your expectations first and then physically examine you in detail to work out the feasibility of rhinoplasty surgery in India. For any kind of nose surgery you have to understand that a nose surgery in Mumbai aims to provide you with the ideal nose suited to your face. When during the consultation for nose surgery in Mumbai it will be safe for you to discuss rhinoplasty cost also. For nose surgery in Mumbai the rhinoplasty cost in India varies with the expertise of the doctor and the type of procedures you opt for. Rhinoplasty cost will work out better for you discuss things like payment options and inclusion with the best nose surgery surgeon. You have a weak nasal cartilage and the weak areas have to be reinforced. You have severe nasal deviations which mean that clearing the passage completely will require some work.